Any time a new technology starts building steam, we need to avoid getting caught up in the hype and must determine whether there is a real and measurable return on investment that benefits your practice and your patients. 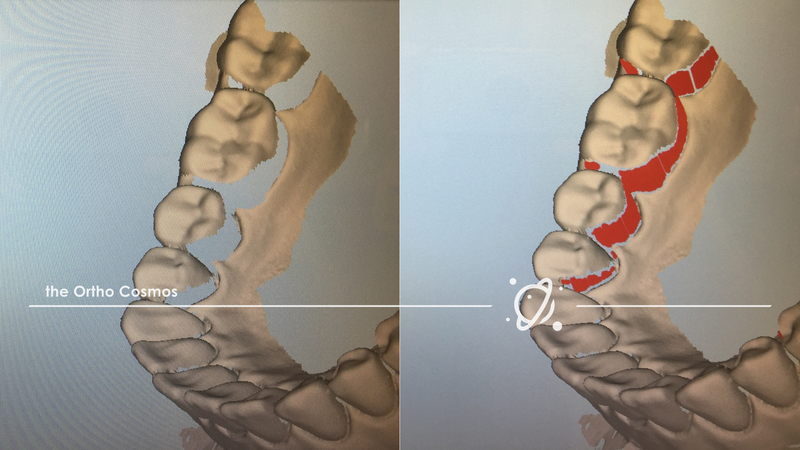 When it comes to 3D printing in orthodontics, not only is it the real deal, but the investment required to make the leap has dropped to the point where it has become a no brainer for your practice. We are going to explore the numbers in the post today, but the reasons to integrate 3D printing technology boils to three main factors: improved patient experience, increased ROI from in-house manufacturing, and enhanced treatment efficiency. Many of you have probably heard that you should always use the dual scan capability on the iTero when scanning for appliances or 3D printed models because the iRecord scans are “less accurate.” I have heard this as well so naturally, I raised this question with the iTero engineers on a call last week discussing their scanning technology and development timeline. As it turns out, there is no difference in data capture or in accuracy between the iRecord and Invisalign scans. 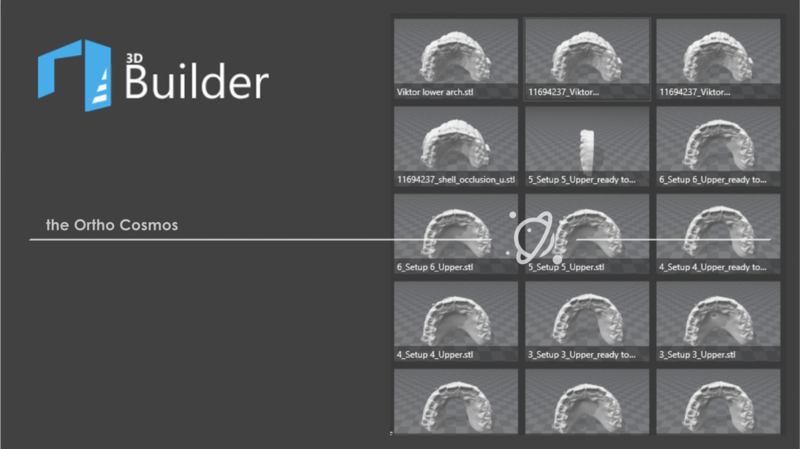 However, up until recently, voids were not visualized on the iRecord scans, while voids have always been displayed on the Invisalign scans. Since gaps in data were not being displayed with standard iRecord scans, scans were being submitted with lots of voids and the software was having to compensate for these lower quality scans. Many orthodontic labs were receiving these files as well giving them a false impression about relative scan qualities between intra-oral scanners. Fortunately, this issue has been fixed by recent updates for the Element scanner, but most doctors are completely unaware about these changes and how to insure that they are activated. To activate the data alerts on the iRecord-only scans, simply hit the toggle to the upper left of the dental arch selector. 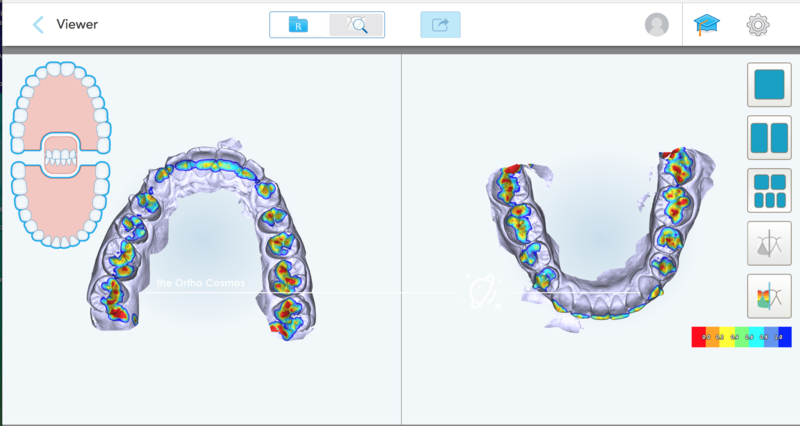 There is a similar toggle to the lower left of the dental arch selector that activates and inactivates the colors scans as seen in the image below. As you can see when the voids are colorized they are far easier to see, and you can much better assess scan quality before submission. Without the color in the image below on the left, smaller voids and especially inter-proximal voids could be easily missed. When the scan is in full color mode as opposed to the standard greyscale scanning mode, the voids will appear blue rather than red. It is important to note that these updates (and will be the case other future software updates), are only available on the iTero Element scanner. Thus, if you are scanning for iRecord models on either then 1st Gen or 2nd Gen iTeros you will want to use the dual scan mode or very carefully review the scan quality before submission. One of the benefits of ‘bottom-up-and-peel’ style 3D printers is that they tend to have fewer mechanical parts that require attention. However, all 3D printers requires proper care and maintenance to continue humming along well and turning out accurate prints. When you purchase and unbox your new printer you’ll receive some additional instructions from the manufacturer about upkeep, but here are some good rules to follow when caring for key components in these types of machines. Bottom-up printers require a peel step between each layer to release the freshly cured layer from the build window at the bottom of the resin tank (typically made out of silicone) so over time the material on the build window will being to ‘cloud’ significantly and require replacement. How long the resin tank lasts is a factor of the build window material, the properties of the resin, and the number of peel steps that occur over a particular region on the build window. The build windows in the Form2 resin tanks are rated for 5000 peel steps with their V3 resin, so the rough math is one resin tank per resin cartridge (you want to keep them paired off) to maintain high quality prints. You can extend the lifetime of your resin tank by printing with the largest acceptable layer thickness (Z Res) without compromising accuracy (100microns for orthodontic models), and by varying position of your prints on the build platform to more evenly utilize the build window. The Form2 dashboard can help you watch for even utilization by showing you a heat map of your prints on that particular resin tank as you can see below. Once they integrate this data into the PreForm software it will be even more useful. It goes without saying that you should handle the resin tanks while wearing gloves and avoid touching the curing window. Fingerprints, dirt, or any smudges that could interfere with the light transmission through the curing window will negatively impact your prints. If you were to accidentally smudge the underside of the curing window, you must clean it using Novus 1 acrylic cleaner on a paper towel or microfiber cloth. Isopropyl alcohol should not be used on any of the acrylic surfaces because it can cause cracking, and no chemical cleaners should ever be used on the inside of the resin tank since it could impact print resins. The resin tanks are more of a disposable item so cleaning the inside is largely unnecessary. If bits of cured resin were to find their way into the resin tank due to a failed print, you should filter them out by pouring the resin through a 190 micron paint filter. High quality optics are important for accurate and successful 3D printing, so you will need to avoid introducing dust or dirt into the machines and be careful not to smudge optical surfaces with residual resin or oils from your hands. The optics deck on many newer 3D printers are sealed to help avoid dust getting in, but either way you should keep the lid closed on your printer as much as possible to keep dust from getting in. 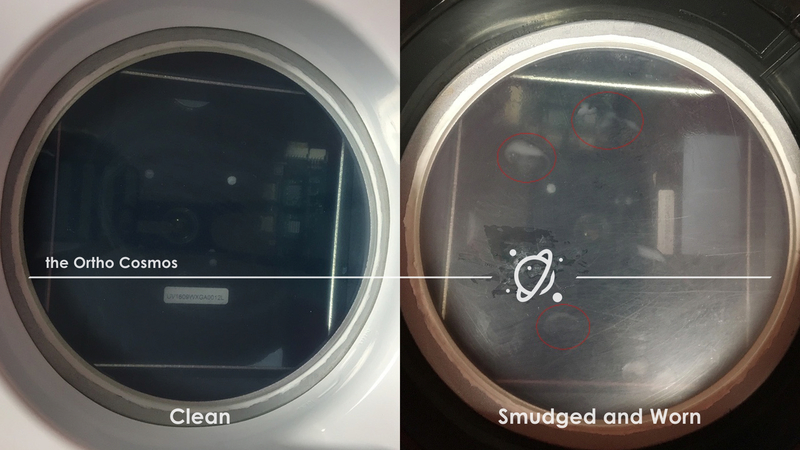 While changing resin tanks or in the even of a failed print, the mirrors and/or projector lens should be inspected to make sure they are in fact clean. If they were to become dirty, a damp microfiber cloth or compressed air dusters can be used to clean their surface. Build platforms are extremely resilient and rarely need to be replaced during the lifetime of your printer. As long as there aren’t sharp bits sticking out from part removal/resurfacing that may puncture the silicone curing window in the tank, there is no need to replace the build platform, but they should be cleaned throughly with a cloth between prints. Chemical cleaners should not be used on the build platform to avoid introducing them into the resin during printing. Although this would be rare in an orthodontic lab, if the resin sits for longer periods of time it may need to be gently mixed to avoid settling of particles with some types of resins. In the Form2, you can simply remove the wiper and gently sweep it left and a right to make sure the resin is mixed. It is a good idea not to mix it while in the machine in case of a spill so you should remove the resin tank prior to mixing. Outside the machine, you should keep the resin covered as much as possible. Although isopropyl alcohol is used to wash printed parts and remove residual resin and is readily available, it should not be used to clean any of the acrylic parts on the machine like the hood or resin tanks. The isopropyl alcohol will crack the acrylic over time. Instead these acrylic surfaces should be wiped down with an acrylic cleaner like Novus 1 on a paper towel or microfiber cloth. 3D printing and computer aided design (CAD) tools are making orthodontic lab work easier to bring in-house and streamlining manufacturing by reducing the number of physical steps required to make appliances. This technology will significantly change how orthodontic care is delivered and the role orthodontic labs play in the marketplace. To be able to assess the impact this will have on orthodontic labs themselves, we need to understand first the overall breakdown of the lab work they are currently performing. We were able to compile data from 8 orthodontic labs, ranging in size from one man operations to very large labs consisting of 100+ lab technicians, which gives us a pretty good sampling of the products produced by traditional orthodontic labs across the US. As the size of the lab decreased, the product mix shifted heavily towards Hawley retainers. Large labs would top out at about 20% Hawleys where as some single person labs saw 90%+ in Hawleys. Indirect Bonding and Class II Correctors (Herbst & MARA) were non-existent until you got into the larger commercial labs. Expanders, both fixed and removable, topped out in the medium size labs before decreasing with the larger labs. This may be due to them being combined with Class II Correctors, rather than being listed separately as an expander. Tooth positioners were also non-existent until you get into the larger labs in the market. Most of the universities are not utilizing tooth positioners anymore, thus small labs are not getting the demand to carry the product. 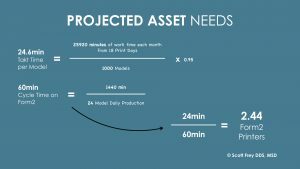 The appliances that are least technique sensitive to fabricate and those where significant advantages are gained by shifting work into the digital space are going to be most impacted by 3D printing. This will disproportionately affect the larger labs and primarily concerns ‘invisible’ retainers, study models, clear aligners, occlusal splints, and indirect bonding, which account for 13.9% of lab work performed by orthodontic labs based on the averages in our sample. Spring appliances may also be impacted if they are being done for tooth movement, since may doctors may opt to produce clear aligner in-house as an alternative. The appliances that will be least affected in the short term will be soldered and banded appliances since the advantages from 3D printing that would drive adoption aren’t as significant until such appliances can be directly printed. Providing supportive digital services so practices can outsource their digital workload and storage. The practice would then have the option of either manufacturing the physical appliance in-house, or having the lab fabricate and ship the appliance as they do now. Some labs have already begun to implement this. 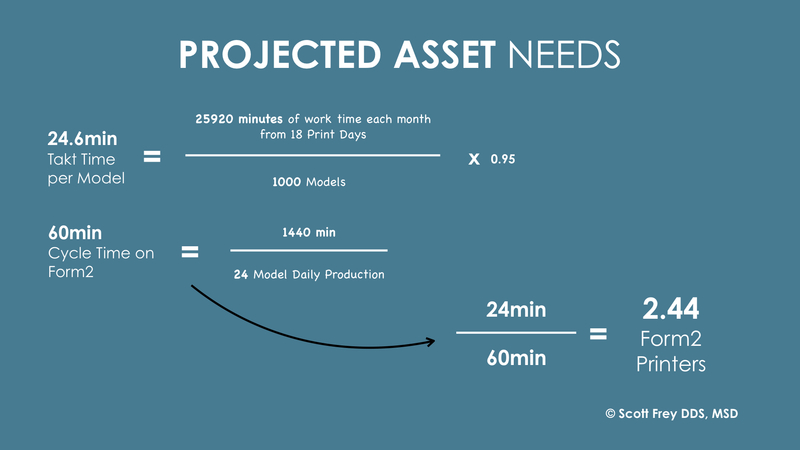 Ideally, the global economy would be leveraged to have the digital tasks performed overnight to increase productivity. Manufacturing and marketing direct-to-consumer products, either on their own or in partnership with other companies. Since these labs already have the infrastructure in place to manufacture and distribute products, this may be a natural transition. Offering training services, both on-site and online, for in-house orthodontic lab technicians. Focusing on products less affected by 3D printing. However, this is more of a delay tactic than a solution. The hidden truth is that there are several CAD software platforms available that are free and can help with basic functions and improve the experience with 3D printing. The advantage is that even a novice can get their feet wet in the 3D printing arena and prepare prints that are effective and well prepared. Most of the companies and their reps selling 3D printers have been working in the dental space with restorative dentistry and implant dentistry and have not yet adapted to the substantial differences that exist with orthodontics. Additionally, the margins on the actual 3D printers are razor thin so companies will push items like expensive UV curing boxes (with huge profit margins) when post-curing may not be indicated and when inexpensive UV light boxes for nails salons may suffice. 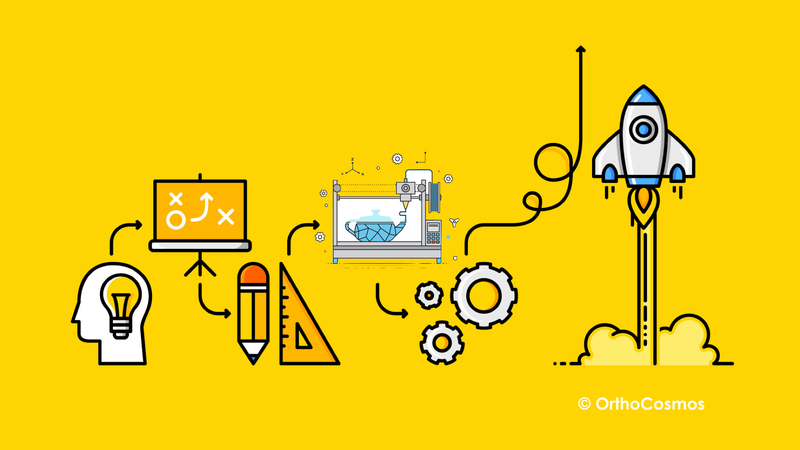 Orthodontists are in need of greater clarity on what you should or should not buy to begin integrating 3D printing in your practice, so we put together a shopping list. All the 3D printers we tested for accuracy in printing orthodontic models demonstrated the requisite precision for orthodontic indications; however, the Form2 was the most cost effective and has a wide range of resins available so it makes a good starter 3D printer. With the Form2 you can predictably build 20 dental models vertically per day (two prints of 10 models), which easily translates to 300 models a month on 1 Form2 printer. As your needs grow, you can gradually scale up your capacity by adding printers to your print farm. Having a print farm also provides redundancy so if one printer goes down you have a back up. Cartridge system for easy switching between different resins. This resin has highly accurate curing properties and is perfect for dental models. One cartridge will print about 50-70 dental models depending on size, so we recommend getting two. The rule is 1 Resin Tank per Resin Cartridge. These stackable resin tanks (with lids – don’t throw these out) that can be easily removed to switch between resins. The printer will come with one resin tank included. Since the resin tank will be partially filled with resin, you will want to keep the resin tanks with a particular cartridge of resin (you can label the lids). Simply remove and cover with their original lid for storage. The silicone curing window on the bottom of the resin tank wears down with each ‘peel step’ and will eventually cloud and require replacement. The silicone window is tested to withstand 5000 ‘peels,’ which means that you will typically need to replace the resin tank after printing through a whole resin cartridge to keep your prints accurate (2 cartridges is sometimes a stretch). You should evenly utilize the build platform and vary your print position so that the silicone curing windows do not cloud pre-maturely. The Finish kit includes a finishing tray and accessories to remove parts and perform a thorough alcohol wash while maintaining a clean workspace. Free software that comes with the Form2 printer. Other printers will have similar prep software for their machine. 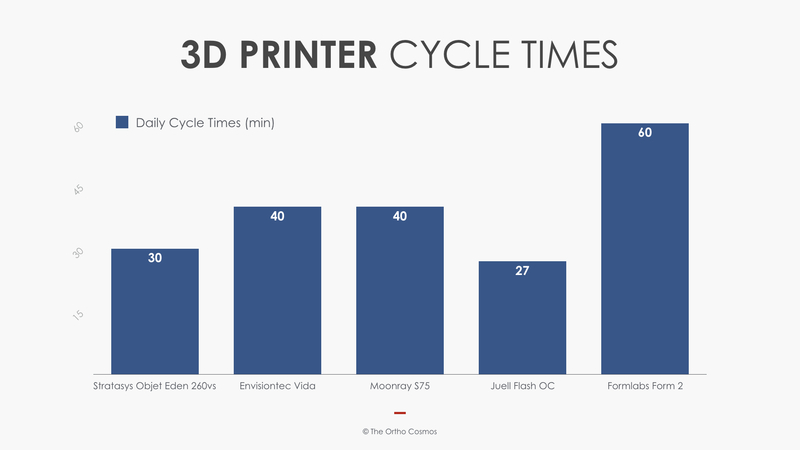 This software will prepare files for printing and optimize them for printing on the Form2. Simply lay out prints on build platform, use the support generating tool, and push to print via WiFi. You will have to physically present to start a print on the printer (needs manual verification that build platform is in place, etc. 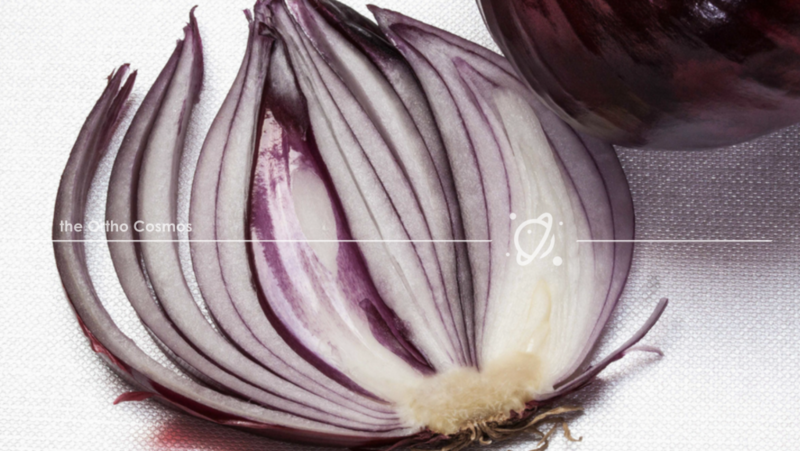 ), but you can utilize the online Dashboard to monitor print progress remotely. 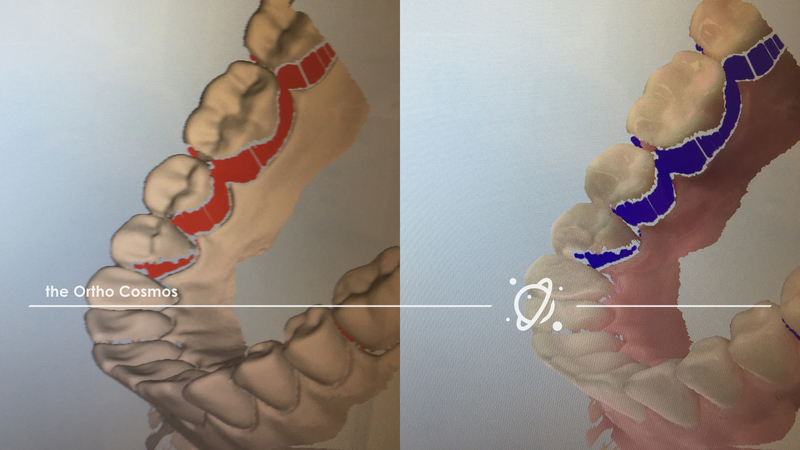 Although STL files for dental models can be downloaded and printed without additional software, if you want to make design modifications to the 3D files themselves you will need additional software. This isn’t necessarily something you’ll need to do right away. 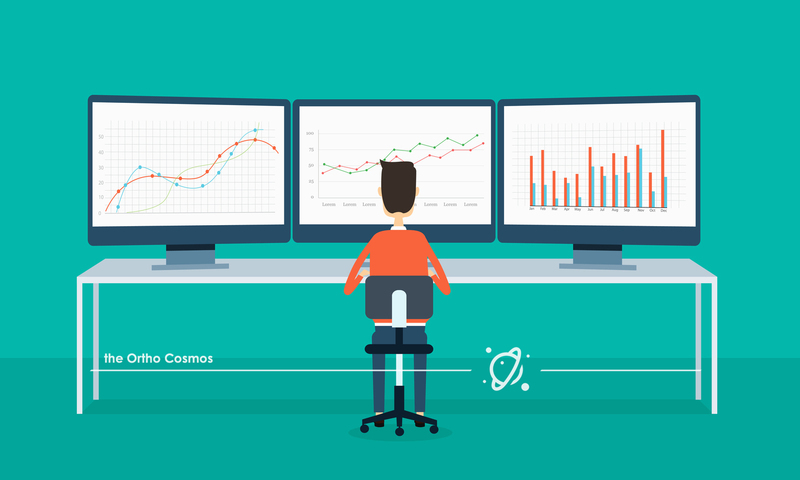 Some options include Orthoanalyze, Orchestrate, Elemetrix. If you elect not to purchase software, you can outsource these CAD services to labs (to remove brackets, etc.) and have them provide the STL files of the final product for printing and digital storage in-house. 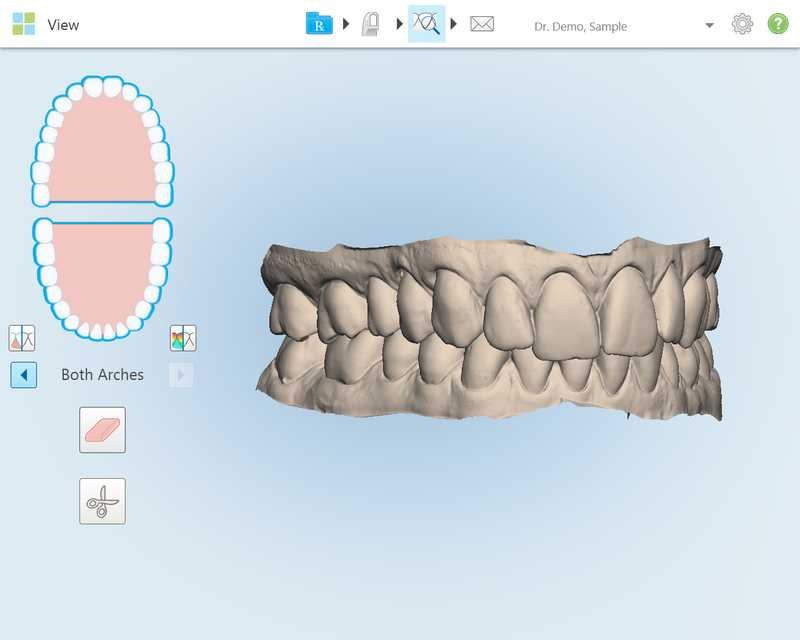 Although the Form2 is dead simple to set up and use, the Pro-Service plan can be helpful for orthodontists new to the 3D world. For welding/soldering parts on printed models. Instead of purchasing an expensive laser welder, pulse arc welders offer an effective means of welding on printed models without melting the print. Welds are sturdier than soldering, but are a different technique so it may take some training for your lab technician. If you are going to be making Hawley retainers or other acrylic based products on the printed models, you will need a separating medium. However, the surface tension on printed models is different than plaster casts and traditional separating mediums won’t work as well. There are certainly a lot of options that can do the job, but the one that we have found to work best has been Siliform. It is not cheap, but it is effective. You can order from Adell Corporation. 3D printing offers more advantages if you are sticking to thermoplastic retainers or direct printed retainers, so you may want to consider modifying your retention protocols. Bio-compatible resins are only needed for printed final products that will be used in the mouth. You do not need a bio-compatible resin to print a dental model that will be used as a working or diagnostic model. Bio-compatible resins are available for use in direct printed IDB trays, occlusal splints, analogs for autotransplantation, surgical guides, etc. The Dental SG Resin ($399) is already available, but the upcoming Dental LT Clear Resin (~$500) will be a better fit for most orthodontic needs. While you can perform an alcohol wash with the finish kit that is included, Formlabs has created a little alcohol jacuzzi for your finished prints that accepts a full build platform. This is an optional purchase, but it automates the wash process and takes up less counter space than the alcohol baths in the Finish Kit so it may be useful. The agitation of the alcohol will also get a more thorough clean of the printed items in less time. By purchasing an additional build platform you can start another print immediately while the other build platform is being washed. If you are printing objects that are bio-compatible, you will need to do a complete UV post-cure. This can be done either with the Form Cure ($699) or the Kudo Post Curing Lamp ($249). Companies will typically push these whether or not your truly need them because they are high margin. Build platforms will last nearly indefinitely, but if you are looking to utilize the Form Wash System you will need a second build platform so you can print while your other build platform is being cleaned. As 3D printing increases in utilization, the usage of CAD software becomes an important step in this digital process. 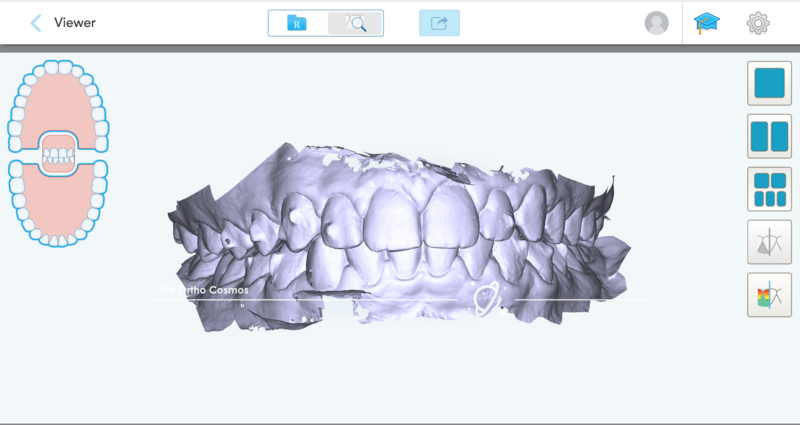 It allows orthodontic labs to take a raw digital image and turn it into a useful design that can be 3D printed. The disadvantage of CAD software in orthodontics is that most of it comes at a significant monetary investment with upfront purchases and monthly service costs. 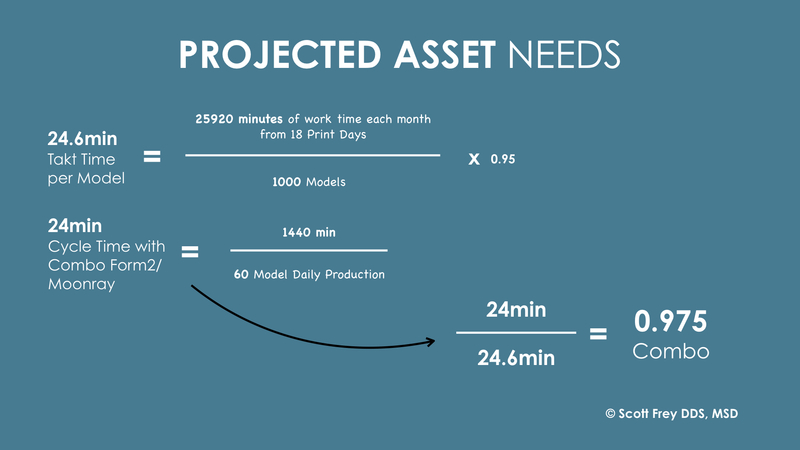 For the basic user, and brand new owner of a 3D printer, this is can be quite a realization. Fortunately, there are inexpensive workflows and free software solutions that help those starting the journey into 3D printing. The peril lies in the fact that I often see the temptation at “working” the CAD software much more than is necessary. Keep your uses of CAD software to a very specific goal, and consider all options as more efficient workflows become available. 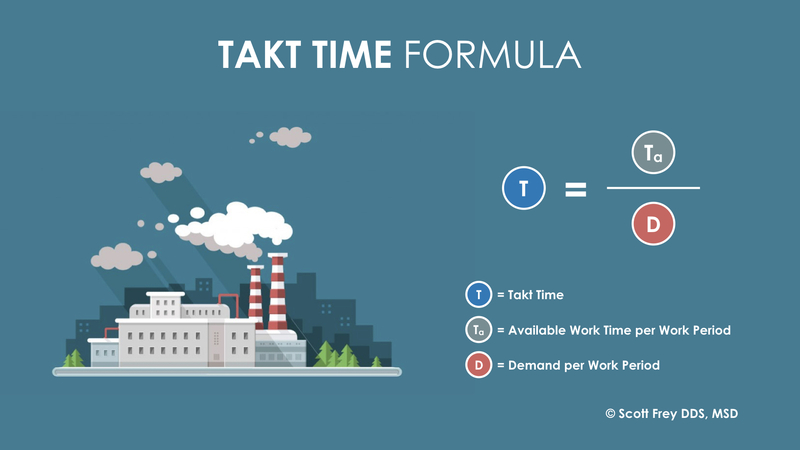 The facet of time efficiency is a key component, especially bringing digital workflow in-house. It is up to each doctor and in-house lab to determine their time efficiency, labor costs, and material costs to make the best decision in a digital workflow. Some steps are a no brainer bringing in-house due to improvement in patient experience, savings in lab fees, and faster turn-around. In some circumstances, I see a lot of doctor time consumed, or inefficient digital workflows used, that would be best delegated. Sometimes that delegation should be to outside labs that have greater expertise and efficiency than a less experienced in-house lab setup. Other solutions include investing in training for a highly effective lab team. To avoid risks in time consuming CAD workflow, consider proper lab delegation and lab training. Leverage your team and delegate accordingly. 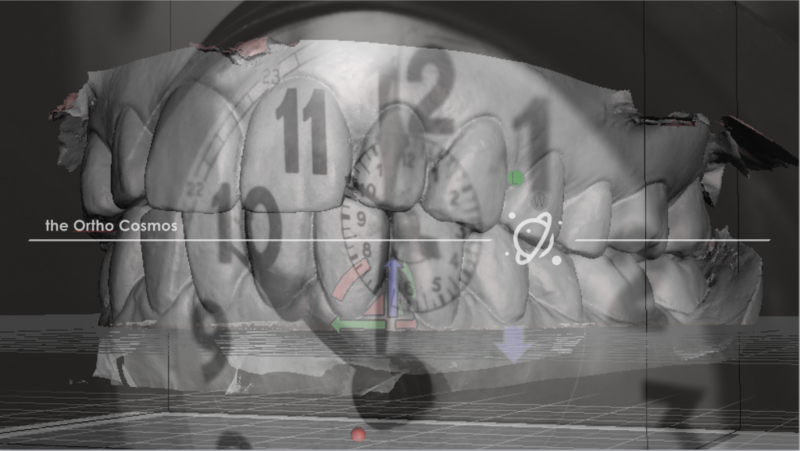 Whenever you incorporate new processes into your practice, take a look at the big picture. 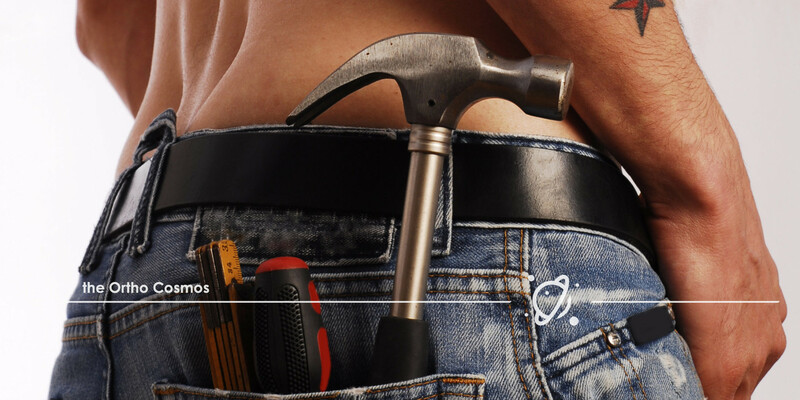 Start lean and mean, and don’t hesitate to invest in efficient software that saves in labor costs. Improving your lab team’s experience and ability are key to minimize risking increased doctor time in lab procedures.